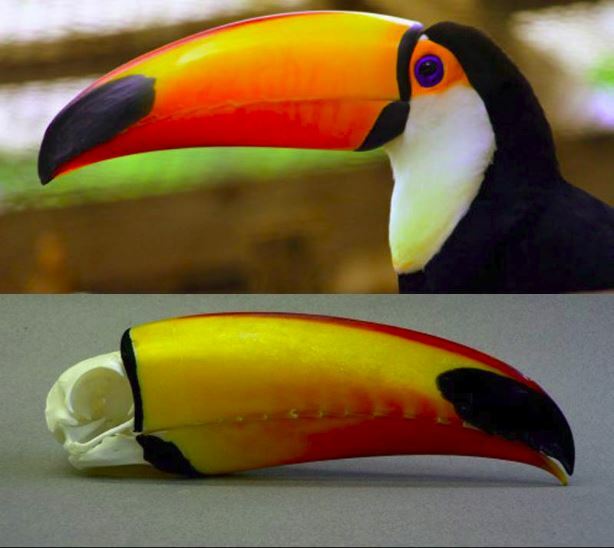 What color is a toucan's skull? Well, obviously it's white, but take a look at its bill! The attractive 7.5-inch-long bill is possessed by both male and female toucans. Interestingly, they use them during a mating ritual, pitching fruit to one another, but has very limited use as an excavation tool. Toucans make their nests in tree hollows found in rain forest regions of Southern Mexico, Central and South America, and the Caribbean region to which they are native. What does a box and these fish have in common? Ostraciidae is a family of squared, bony fish closely related to the pufferfishes and filefishes. 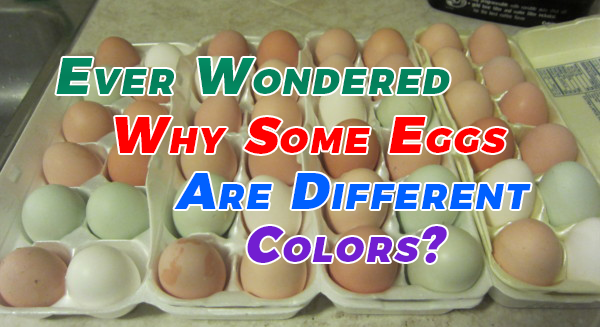 Members of this family occur in a variety of different colors (e.g. right - Hawaiian Blue Boxfish, Ostracion meleagris and the Yellow Boxfish, Ostracion cubicus), and are notable for the hexagonal or "honeycomb" patterns on their skin. Boxfish swim in a rowing manner. Their hexagonal plate-like scales are fused together into a solid, triangular or box-like carapace, from which the fins, tail, eyes and mouth protrude. Because of these heavy armoured scales, Ostraciidae are limited to slow movements, but few other fish are able to eat the adults. Opals (shown above) are is a hydrated amorphous form of silica (SiO2·nH2O); its water content may range from 3 to 21% by weight, but is usually between 6 and 10%. Because of its amorphous character, it is classed as a mineraloid, unlike crystalline forms of silica, which are classed as minerals. It is deposited at a relatively low temperature and may occur in the fissures of almost any kind of rock, being most commonly found with limonite, sandstone, rhyolite, marl, and basalt. Opal is the national gemstone of Australia. 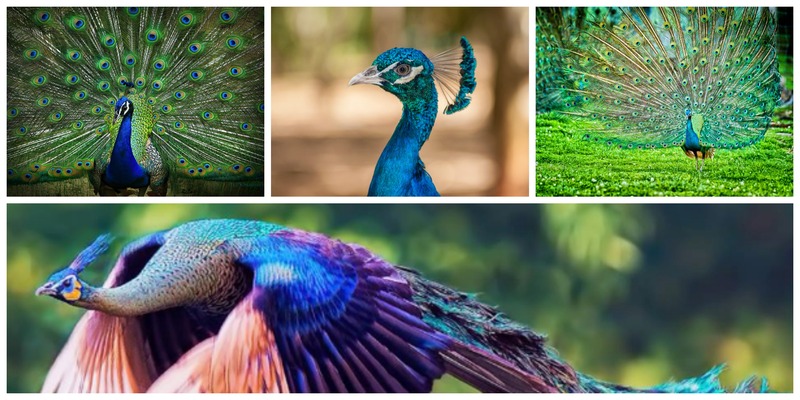 Peacocks can easily fluttered into the air, but only up to a limited gap. 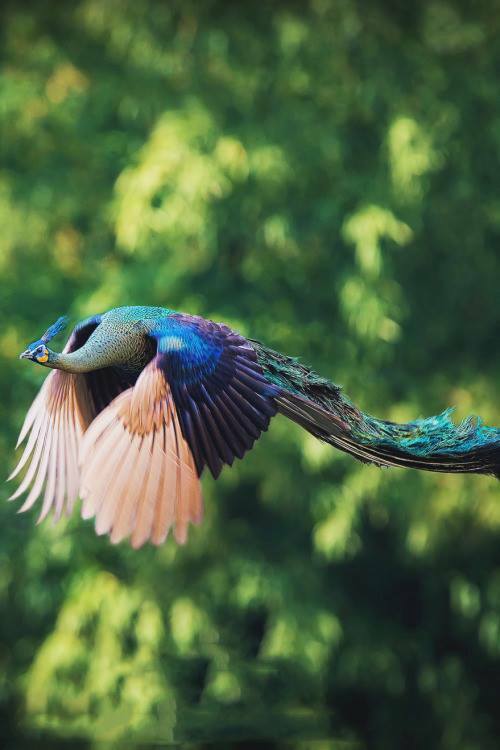 Unlike other birds, they cannot prolong their flight, but these small drifts come in handy while scavenging for food, and are extremely important in escaping deadly killers. As soon as any predator approaches them, they ascend to a nearby tree for safety (check out the video below). 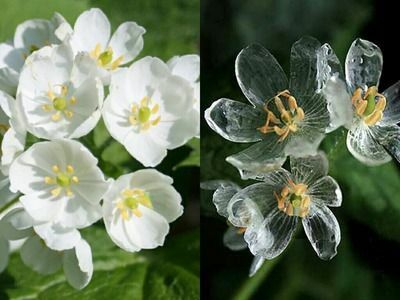 Diphylleia grayi, also known as the skeleton flower, has white petals that turn transparent with rain. 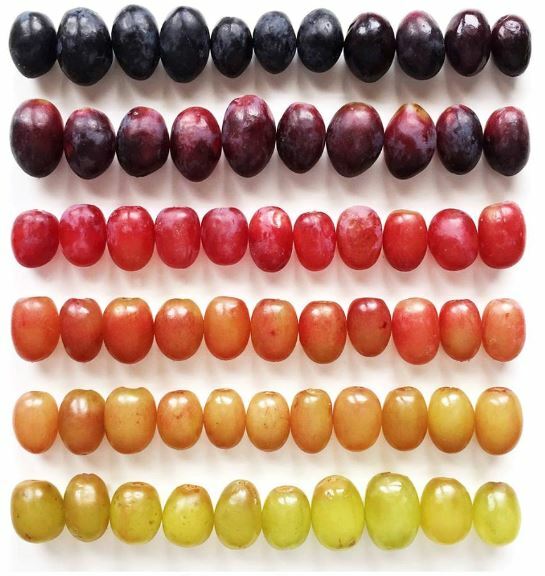 When dry, they revert to white. This plant is native to the eastern United States and eastern Asia. 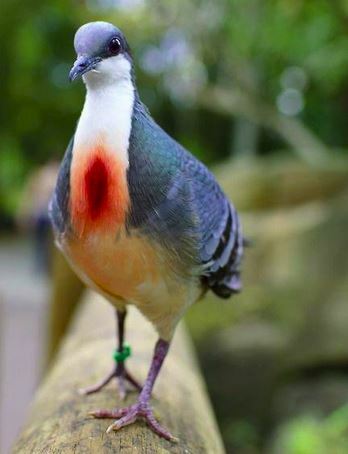 The Luzon bleeding heart dove (Gallicolumba luzonica) gets its name from a splash of vivid red colour at the centre of their white breasts. On first sight it is hard to believe that the bird has not recently been wounded. 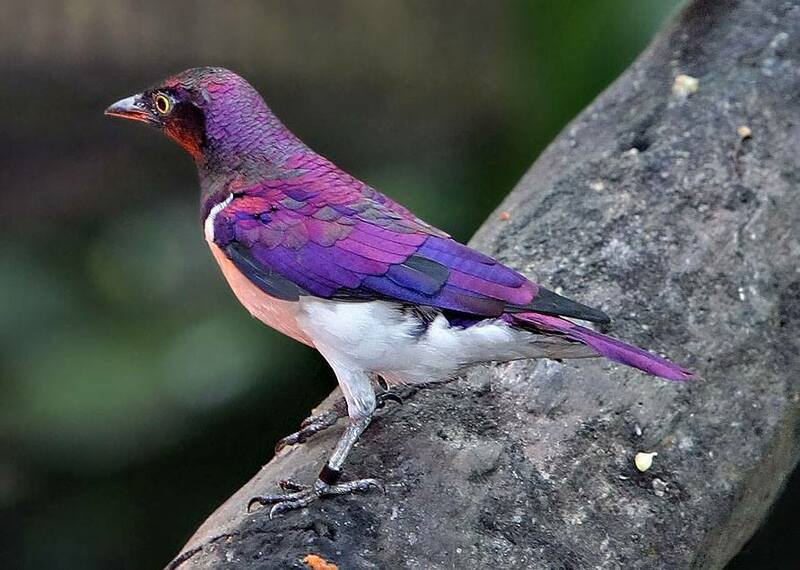 A reddish hue that extends down the belly furthers the illusion of blood having run down the bird's front. These brightly colored crayfish are found in Indonesia. 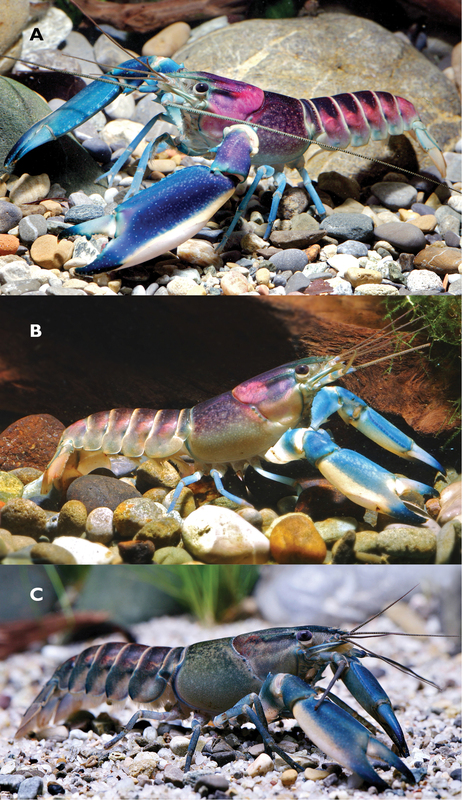 While colored crayfish have been sold commercially in Asia since the early 2000s, this recently-discovered sub-species has a distinctive body shape and color from others in the Cherax family.